I am grateful for an excellent school year that has just come to a close, and I am looking forward to this upcoming school year. I have been blessed to find The Unplanner as I look ahead. 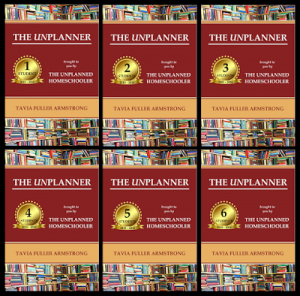 It does not matter if you homeschool year round, or the traditional method, The Unplanner homeschool organizer has been designed to give families the necessary tools they need to document their school year. Having an organizer for your school is an essential foundational tool to build upon. With this planner, you will have an excellent record of what you have accomplished, and a keepsake that will help you remember the fun things done during the year. I plan on using this planner for my family this school year.